Heat oven to 425°F. 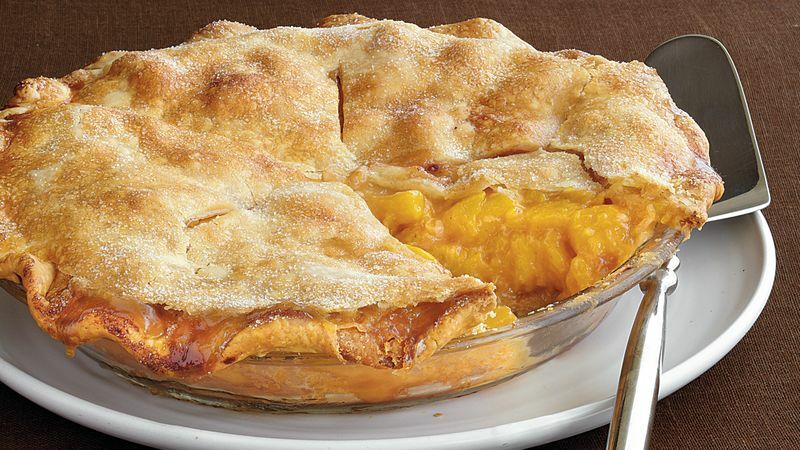 Make pie crusts as directed on box for Two-Crust Pie using 9-inch glass pie plate. Top with second crust and flute. Brush top with egg; sprinkle with 4 1/2 teaspoons granulated sugar. Cut slits in several places. Freeze pie 15 minutes. Meanwhile, heat 15x10-inch pan in oven 10 minutes. Place pie on hot pan. Bake on lower oven rack 15 minutes. Reduce oven temperature to 375°F; bake 40 minutes. Cover loosely with foil; bake 25 minutes longer or until juices are thick and bubbly. Cool 2 hours before serving.